Right next to the Max Brenner Chocolate Bar was the artisan bread bakery called Le Petit Artisan. The two shops are practically joined at the hip, Le Petit Artisan being accessible through the inside of the chocolate bar. Aside from the wonderful aroma of freshly baked bread wafting from the next door bakery, it was the buy-1-take-1 signs that ultimately made us cross over through the small corridor adjoining the two shops. It was pretty late, past 9PM, and I would suppose that Le Petit Artisan intended to sell out all the baked goods before closing time. Of course, my friends and I were more than happy to help. We meandered into the bakery invariably asking the staff- "On all breads, really?" and they would answer "Yes, ma'am/sir, all breads, except for the pastries inside the glass showcase." The pastries on a table right next to the glass enclosure though, were also covered by the buy-1-take-1 promo. 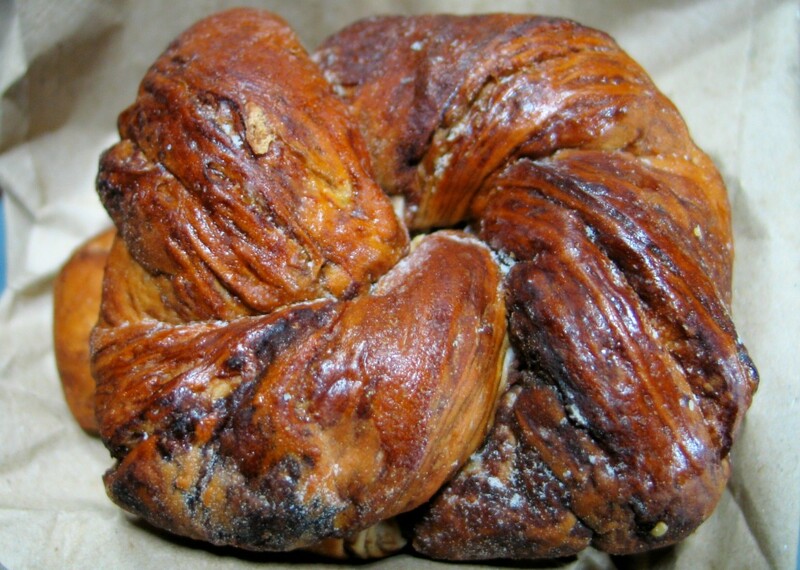 From the pastries, we got a couple of what they called chocolate twist while others got some peach danish. Adding to the allure of Le Petit Artisan's baked offerings were the personnel's assurance that all the breads are sugar free and made from whole wheat. 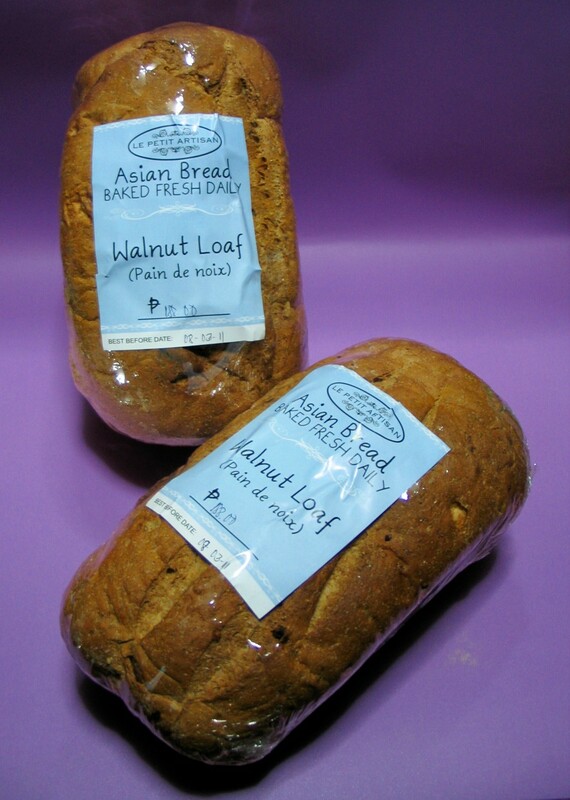 We got a pair of walnut loaves. They were magnanimously big loaves of bread and I half wondered how on earth we were going to finish them before the molds beat us to the punch, artisan breads being by nature, free from preservatives. 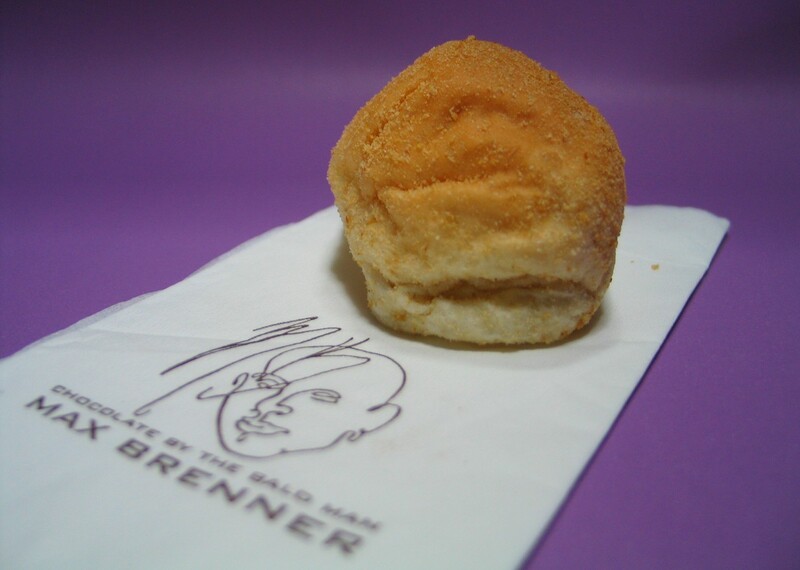 In addition to our chocolate twist pastry and walnut loaves, we also got a pair of bags of mini pandesal. Without really meaning to, I ended up snacking on them when I got home. Le Petit Artisan's pandesal makes it to my list of the best pandesals I have ever had, right up there with Bizu's. Le Petit Artisan is located at the ground floor of Greenbelt 5, Makati City.